Episode 7: Who Holds You Accountable? 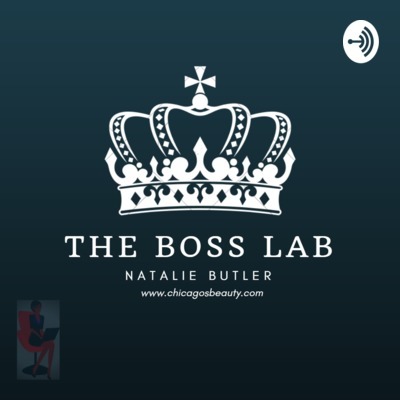 Welcome to The Boss Lab, a podcast dedicated to female entrepreneurs covering motivation/inspiration, social media trends and tools to help run your business more effectively. Episode 39: Why is this so important in network marketing? Most people struggle in network marketing because either they failed to tap into their support system or they didn't know they had a support system. Yes, this is an industry where you control the pace but why is it so important to speak with your other people? Episode 38: Stop Tagging People!! Are you making this genius mistake? I get it! Tagging people helps get more eyes on your business and it's a quick way to get results, right? Wrong! Let's discuss why you shouldn't tag people on Facebook. If you're struggling with marketing online, it's probably because you have yet to understand your purpose. I spent a lot of my time early on begging and pleading for sales from people and eventually got lucky. Now that I fully understand my purpose, I'm intentional with every thing I do and instead of begging people, I have people coming to me! Do you have a Facebook group? Are you still trying to figure out when is the best time to post to increase your engagement and results with the algorithm? In today's episode, we'll be discussing how to get the most engagement and conversions using your Facebook group so stay tuned! 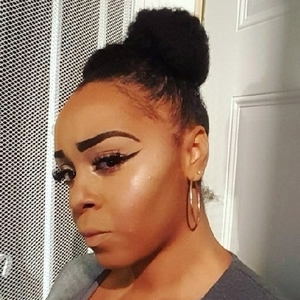 Episode 33: She Just Lost 20,000 Followers on Instagram; What Can We Do to Prevent It? Selling online really isn't all that difficult. Check out this simple trick to make your sales posts stand out that doesn't require the skills of a graphic artist and don't come off as too salesy. In the last two weeks, Facebook, Instagram, Youtube and even Linkedin have all gone down. How is your business running without them? Most people are making this common mistake on social media and literally it's defeating the purpose of all of your hard work. Are you struggling with sales? Here are 4 steps that you can take today to get results! I know it's very tempting: the quest to become the most popular, have the most likes on your social media but this one thing can actually be killing your online presence: Like Trains. If you're struggling with monetizing your social media accounts, you definitely want to check this episode out. Are you struggling with getting engagement on your Facebook business page? Heard the saying "you gotta pay to play?" Check this out before you spend a penny on Facebook ads. Are you just posting motivational or inspirational quotes? Nobody cares! Don't just talk the talk, but walk the walk. Build your circle of influence by showing how YOU are living the life you preach. Truly connect with your audience. There are many more people who want to see you win and will support you than those who don’t. Stop focusing your energy on those who mean you no good and start aligning with those who see your potential and purpose. Episode 23: Facebook's Manually Closing Accounts!!! You could actually be self-sabotaging your own success! Let's discuss how small business owners and entrepreneurs are alienating and running off their target market with this simple mistake! Be careful what you post! Episode 21: Is your product or service a good investment? Does your target audience know? A common mistake new business owners and entrepreneurs make is being too excited. It's always great to be excited about your business but often times, they miss the point of sharing why others should be excited as well. Take the time to educate your target market about how they can benefit from your product/service and stop focusing strictly on gaining a sale. Serve your audience. Are you struggling with completing revenue producing activities? Check out this free tool if you'd like to work on forming productive habits that help you reach towards your goals. Are you new to LinkedIn or can't figure out how to get it to work for you? Learn how to use the GIFT formula to find potential customers/partners, invite, present and close more deals. Episode 16: Ok Now What? What Should I be doing? Episode 14: It's All About the Digital Business Cards, Baby! Episode 13: Do You Have What It Takes? Successful people aren't necessarily better than you. So what separates them from you? Episode 12: Can We Learn Something from Men? Women are strong, smart, independent, reliable and sensible but as female entrepreneurs, is there something we can learn from our male counterparts? Is there something that is holding us back from achieving our goals? Episode 9: Are You Really Busy or Just Faking It? There is a difference between being busy and being productive. When I first launched my business, I spent the majority of my time being busy. I really feared failure so I figured doing something, anything actually was considered building my business; however, those things got me absolutely nowhere! I was just wasting time and avoiding the inevitable! Are you on Facebook? You may want to check out how to avoid your profile being reported for spam. Great tips for any social media site. A lesson learned from my 6-year old niece. So often we set ourselves up with unrealistic expectations of reality. When some asks if we've accomplished something, don't beat yourself up by saying no, start uplifting yourself by saying "Not Yet." Forget the saying you normally hear, let's talk about some self-sabotaging actions and beliefs that you probably don't even notice you're doing! Episode 2: It's Not You! They ARE the Problem! There is absolutely nothing wrong with wanting more for yourself. If anyone has a problem with that, they are the problem. Welcome to The Boss Lab!